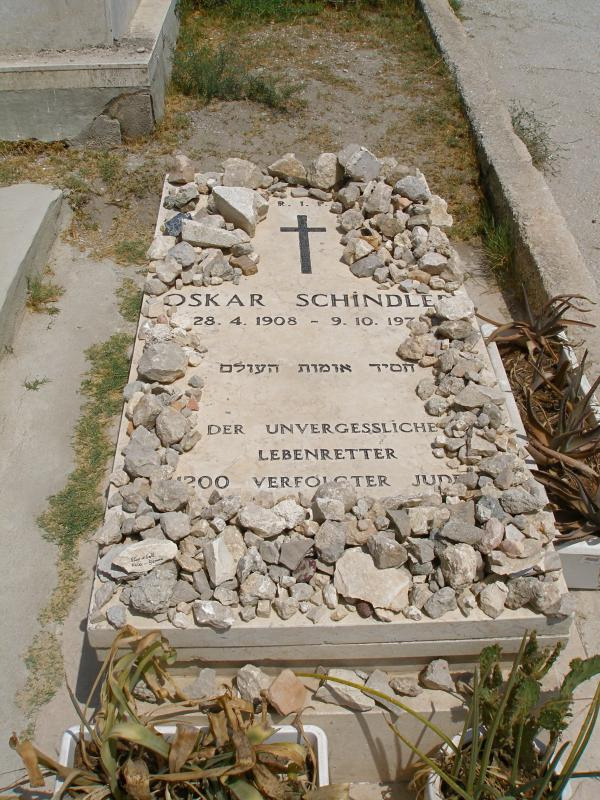 One of the most-visited graves in Jerusalem belongs to Oskar Schindler, the German factory-owner and Nazi Party member credited with saving the lives of 1098 Jews during the Second World War. His grave in the Catholic cemetery on the southern slope of Mount Zion is visited by Jews, Christians and people of no religious faith. A complex and conflicted man, Schindler was an unlikely candidate for heroism that involved risking his life to save others. Born into a Catholic family in Moravia, he was unfaithful to his wife with a succession of mistresses. As a businessman he engaged in black-market dealings and bribery. An ethnic German but a Czech citizen, he worked as a counterintelligence agent for the Nazi armed forces (for which he was jailed by Czechoslovakia) and also collaborated in the German strategy for the invasion of Poland. Ironically, Schindler’s less endearing character traits equipped him to ingratiate himself with Nazi officials for the sake of his Jewish employees. 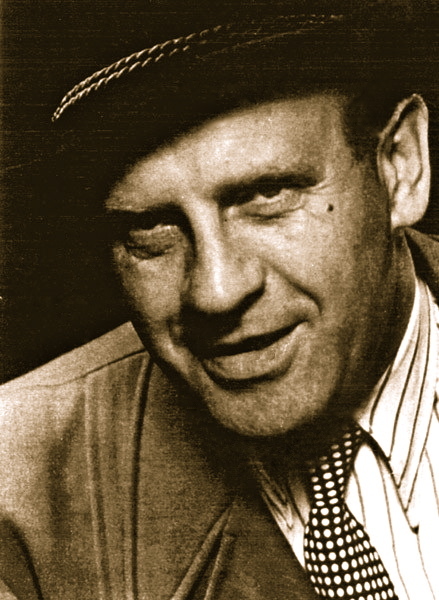 After Germany occupied Poland in 1939, the opportunistic Schindler moved to the Polish city of Krakow and took over a Jewish-owned enamelware factory. 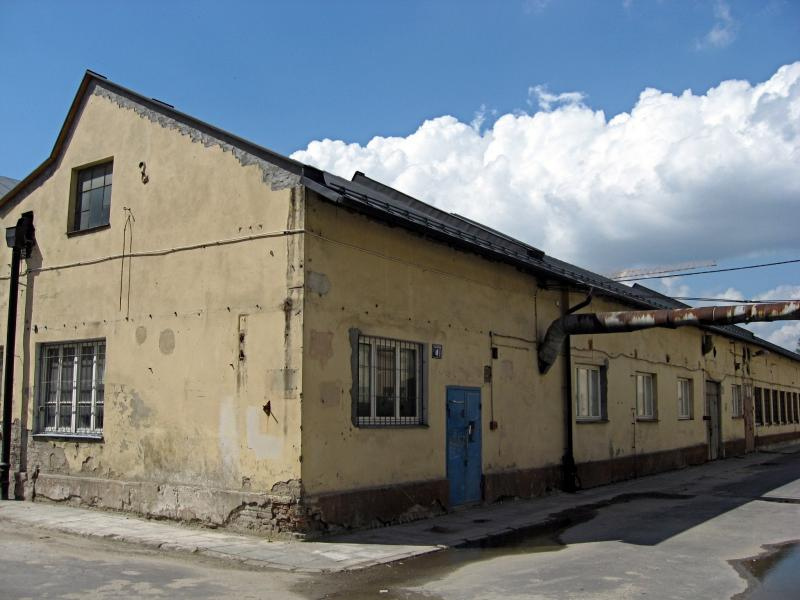 Because the factory was close to the Jewish ghetto he was able to witness the brutal German oppression at firsthand. “And then a thinking man, who had overcome his inner cowardice, simply had to help. There was no other choice,” he said after the war. Schindler built up his workforce with Jewish forced labourers from the Plaszow labour camp, bribing officials to ensure their wellbeing. He and his wife Emilie especially cared for those who were old or weak. 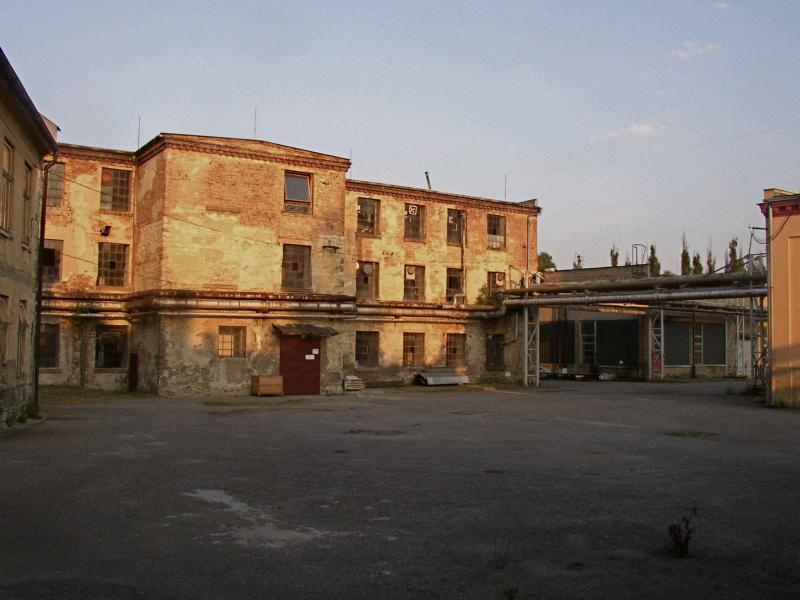 In 1944, when the inmates of Plaszow were destined for deportation to death camps such as Auschwitz, Schindler obtained approval (after paying the necessary bribes) to move his factory to Brünnlitz in Czechoslovakia, on the pretext of making armaments. The names of the workers chosen to move to the new factory formed the “list” made famous in Thomas Keneally’s 1982 Booker Prize-winning novel Schindler’s Ark and Steven Spielberg’s 1993 Academy Award-winning movie Schindler’s List. In fact, according to Schindler’s definitive biographer David M. Crowe, at least nine lists, constantly changing, were drawn up in late 1944 and 1945, and they were drawn up by other people — although Schindler had given guidelines as to who he wanted included. However, without Schindler’s efforts there would have been no Jewish workers to be listed. By the time the war ended, Schindler’s considerable wealth had been spent on bribes and black-market supplies for his workers and he was reduced to receiving handouts from Jewish organisations. In 1949 he emigrated to Argentina with his long-suffering wife, his current mistress and some Jewish friends. After a farming venture failed he returned alone to Germany and established a cement factory that went bankrupt. In the 1960s he began annual visits to Israel, where he was feted as a hero, but he was in poverty when he died in 1974, aged 66, in Hildesheim, Germany. It was his own wish to be buried in Jerusalem. Emilie Schindler remained in Argentina, living on a pension. She died in 2001 during a visit to Berlin, aged 94. In 1962 a tree was planted in Oskar Schindler’s honour in the Avenue of the Righteous at the Yad Vashem Holocaust museum in Jerusalem. 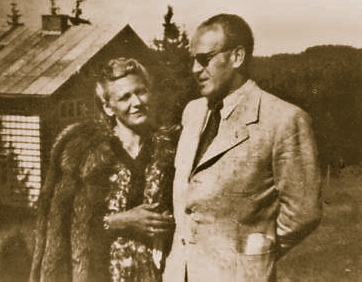 But it was not until 1993 that both Oskar and Emilie were officially recognised by Yad Vashem as Righteous Among the Nations. Schindler’s grave in the Mount Zion Catholic Cemetery — not the Protestant Cemetery further west, as some guidebooks have it — is within easy walking distance of the Old City’s Zion Gate. Walk out Zion Gate towards the bus parking lot. Take the road on the left until it joins a major road called Ma’aleh Hashalom. Follow this road down the slope of Mount Zion until you come to a high stone wall on the left with a wrought-iron gate. High on the gate is small sign reading “To Oskar Schindler’s Grave”. For times when the cemetery is closed, the Muslim custodian’s phone number is painted roughly on the gate. The cemetery is on two levels, with circular steps leading down to the lower level where Schindler is buried. Many of the graves are of Franciscan monks and nuns. Others, as their Arabic inscriptions indicate, belong to Arab Catholic families whose family trees date back hundreds of years. At the edge of the top level stands a large cross. Facing the cross, look down on the lower level at about 2 o’clock. The flat slab of Schindler’s last resting place stands out from the other graves because of the stones left on it by visitors — a Jewish custom that is also followed by many others who come to pay their respects. The stones often partly cover the inscriptions, which read (in Hebrew) “Righteous Among the Nations” and (in German) “The Unforgettable Lifesaver of 1200 Persecuted Jews”. Yad Vashem, Israel’s official memorial to the Jewish victims of the Nazi Holocaust, is dedicated to documenting the story of the six million victims and imparting their legacy for future generations. 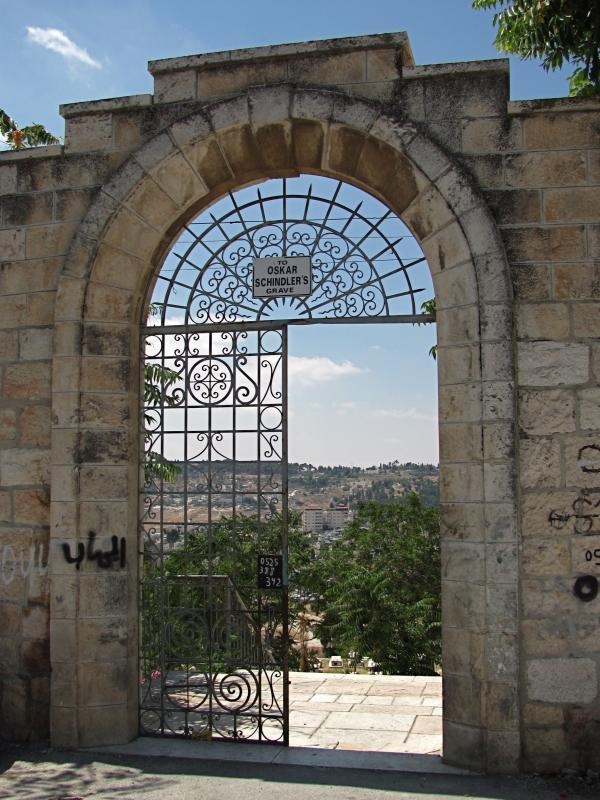 Its location is a hillside site on Har Hazikaron, Jerusalem’s Mount of Remembrance. Tree-studded walkways lead visitors through a sprawling complex of museums, outdoor monuments, exhibition halls, an archive, a library and other resource centres extending over 18 hectares. One avenue is lined with plaques bearing the names of many thousands of non-Jews who risked their own lives to rescue Jews from the Nazis. They are honoured as the “Righteous Among the Nations”. Yad Vashem’s history museum, a long corridor with stark walls of reinforced concrete, is carved into the mountain. Ten exhibition halls each focus on a different chapter of the Nazi Holocaust that began in 1933. A visitor to the museum begins underground and walks upwards. The exit involves stepping from a dark corridor into daylight, on a balcony overlooking the Jerusalem valley. The symbolism represents the passage of the Jewish people through the dark days of the Holocaust to the light of Israel. 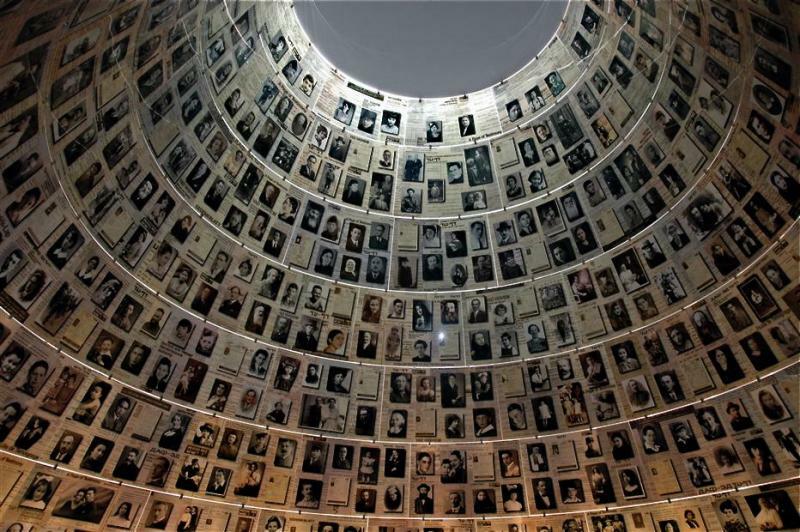 The archive at Yad Vashem contains 68 million pages of documents, nearly 300,000 photographs and thousands of films and videotaped testimonies of survivors. It houses comprehensive Holocaust-related departments — historical and art museums, schools and research institutions, extensive archives and library facilities. It also contains a memorial to the 5000 Jewish communities destroyed during the Nazi era and a Hall of Names listing millions of survivors. Among the memorial sites, the hall of remembrance is a solemn, tent-like structure that allows visitors to pay their respect to the memories of those who died. 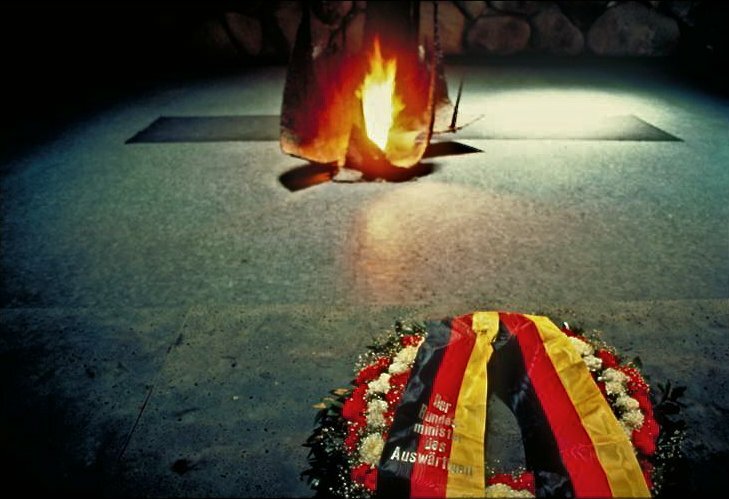 Here ashes of the dead are buried and an eternal flame burns in their memory. A memorial to the deportees has a railway cattle-car on rails jutting out over the cliff on the road winding down from the mountain. This cattle-car was used to transport Jews who had been banished from their homes to the concentration camps. Open: Sunday to Thursday, 9am to 5pm (entry till 4pm); Friday and eves of holidays, 9am to 2pm (entry till 1pm). Closed on Saturdays and all Jewish holidays. Entry is free. Children under 10 are not permitted to enter the history museum. Men should cover their heads (kippahs are available). Entrance to the complex is via the Holland Junction, situated on the Herzl Route opposite the entrance to Mount Herzl and the descent to Ein Kerem.